Indian Christians have forced EMI to withdraw American thrash metal band Slayer’s new album because the cover art offended them. Joseph Dias of the Catholic Secular Forum obviously backed out of his promise, made last May, to “fast unto death” in protest against the Da Vinci Code movie, as he was fit enough to denounce Slayer’s Christ Illusion album as “offensive and in very bad taste”. EMI have released a censored version of the album, with the offending image obscured by the band’s name. The French parliament has just adopted a bill criminalising the denial of the Armenian genocide at the hands of the Turks in 1915. The penalty will be up to a year in jail and a heavy fine. What the hell are they thinking? Turkey wants to join the EU, but is constantly criticised for prosecuting artists and writers who commit such crimes as “insulting Turkishness”. France is hardly setting an example as a beacon of free expression here. The bill still needs approval from the Senate and the president, so there is still a possibility they will step back from the brink. Ahmad Abu Laban, one of the Danish imams responsible for stirring up anti-Danish Motoon hysteria last year, has reacted with unexpected common sense to this latest controversy. Other Danish Muslim leaders have also called for calm. It should be noted that, in spite of the efforts of people such as Laban, there were no riots in Denmark even at the height of the original Motoons crisis. Meanwhile, an Indonesian radio station has come up with an interesting idea to make their feelings known. They are organising their own competition to see who can draw the best sketch of the king of Denmark “standing with pigs”. A prize of 5 million rupiah (about £300) is being offered to the winner of the contest, which is amusingly entitled “Denmark’s King and Pigs”. Denmark’s currently reigning monarch is Queen Margrethe II – but it’s the thought that counts. Well done Radikal Radio in East Java! A British author, Carmen Callil, has had a launch party of her book cancelled because of pressure from Jewish groups unhappy with the final paragraphs. The French forget Vichy, Australians forget the Aborigines, the English forget the Irish, Unionists forget the Catholics of Northern Ireland, the United States forgot Chile and forgets Guantanamo. Everyone forget East Timor and Rwanda. As I wrote this book, people constantly asked me how I could bear to write about such a villain and about such terrible things. In fact, horrors from the past did not deter me. What caused me anguish… was to live so closely to the helpless terror of the Jews of France, and to see what the Jews of Israel were passing on to the Palestinian people. Like the rest of humanity, the Jews of Israel ‘forget’ the Palestinians. Everyone forgets; every nation forgets. Apparently any criticism of Israel, however implicit, is enough to get your parties, lectures, or seminars cancelled in the USA these days. This latest example follows the cancellation of two events by Tony Judt (mentioned in the Garton-Ash article cited below). Judt, an American Jew, was due to give lectures on the influence of the pro-Israeli lobby on US foreign policy: the first at the Polish consulate – cancelled after “delicate pressure” was applied by two Jewish groups; and the second at Manhatten college – cancelled after threats of a demonstration by Holocaust survivors led to him being asked not to mention Israel in his lecture. Last Friday Danish TV showed amateur video footage of an impromptu Motoon competition held by the youth wing of Denmark’s anti-immigration Danish People’s Party at their August summer camp. Images included Mo as a camel with beer cans for humps taking a dump, and a Mo + bomb = nuclear explosion equation. Not exactly the funniest cartoons you’ve seen, but young right wing Danes will be young right wing Danes. The video was filmed by the anti-racist artists’ group Defending Denmark. It was intended as an exposé of the DPP. The OIC spokesman deplores the act of caricaturing Prophet Mohammed (PBUH)… by the youth members of the Danish People’s Party and the same being shown regrettably on state TV. The footage affected the sensibilities of civilized people and the religious beliefs of one fifth of humanity. If someone enjoys an iota of humanity and wisdom then he will not insult and offend the shining holy presence of Muhammad. The Danish consulate has warned Danes not to travel to Israel and the West Bank, Saudi Arabia, Lebanon, Jordan, Egypt, Iraq, Iran, Syria and Turkey. You can see what’s got them all fired up here, here, here, and here (this last one shows them singing a song about Mohammed – and Danish speakers willing to translate for us?). The Guardian reports on it here. Oh, and two of those teenagers in the videos are now in hiding. The BBC’s article marking the 1st anniversary of the Motoons publication has been revised after complaints from readers angered by its apparent bias. The question everyone is asking is: has Denmark learnt its lesson. Thank you for your comments. We have changed the text to read “has Denmark learnt any lessons?” This makes it clear that we are not taking sides – but it is still a legitimate question to ask, because the cartoon row had a big impact on Denmark. This is indeed a legitimate question to ask. However, as MWW pointed out to Buch-Andersen in a private email, the way it was originally worded carried a lot of tendentious baggage. We welcome the revision, and accept that the mistake may have been made because English is not Buch-Andersen’s first language, making such subtle degrees of register difficult to detect. But the question everyone is asking is: has the BBC learnt its lesson? The Guardian carries a piece by Timothy Garton-Ash about the various threats to freedom of expression prevalent today. From scaredy-cat self-censorship to threats of bloody revenge, “the struggle to defend free expression is defining our age”. Too many recent responses in such cases – from the Rushdie affair onward – have had this backhanded syntax: “Of course I defend his/her freedom of expression, but…” The Voltaire principle gets it the right way round: first the dissent, but then the unconditional solidarity. Now we are all called upon to play our part. The future of freedom depends on words prevailing over knives. 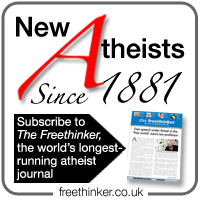 The Times reports that more than 20 “stars of the French intellectual world” have appealed to the government to do more to help Robert Redeker, the author of an article critical of Islam and Muhammed. Everyone has the right to express his views freely, while respecting others, of course. The Deutch Oper’s production of Idomeneo which was cancelled due to fears of violent reprisals from Islamic extremists, may go ahead after all if German police can guarantee security. The Volksoper in Vienna has offered to take it if not. If it’s not OK for Muslims, we can discuss it. But to cancel it and say ‘We are frightened of bombs’ is not OK. It shows a kind of German paranoia, because there was not really a danger. In the climate of tensions across Europe, after the controversy with the Pope, it would be in the best interests of all not to provoke sensitivities, whether it is Muslims, Christians or other faiths. UPDATE: (5th Oct) Idomeneo has been reinstated, but no dates have been announced as yet. Norwegian TV channel TV2 will tonight air a documentary about the Motoon crisis. Entitled “Threatened To Silence”, the documentary wouldn’t make much sense if it didn’t actually show the 12 cartoons about which a large number of Muslims were encouraged to throw a collective hissy fit – so it will. I believe this is a very important act in the fight for freedom of speech. I can personally vouch for the finished product, and I guarantee that only journalistic considerations has been taken into account when considering what’s going to be shown and what’s not. Score a point for journalistic integrity. Let’s just hope those naughty imams have learnt their lesson.